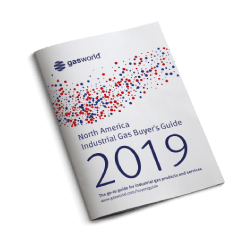 Another new year is looming, another fresh beginning, and another glimpse into the prospects of a region’s gases industry. The dawning of a New Year usually represents the opening of a new chapter and the promise of new beginnings. A tidal wave of optimism often comes flooding in. On the shores of the Middle East, this tidal wave of potential continues to gather momentum. As 2009 is next month set to begin, the story is very much the same for the Middle East – an emerging economy and gases market ripe for investment and seemingly ready for further flourishes. Industry is prospering, from the demand for LNG exports to the encouraging steel industry and even the room for manoeuvre in the beverages sector. All around, the potential for further growth is abundant. In the food and beverages market for example, the rivalry between coke giants Coca Cola and PepsiCo continues to intensify as the two companies strive to establish themselves as the number one soft drinks supplier in the region. A region which, given its intensely warm climate and restrictions regarding alcohol consumption, is a strong platform for soft drinks. Pepsi has even expanded its product line in the region in recent years, operating the Pepsi, Seven Up, Miranda, and Mountain Dew brands, as well as branching out into the energy drinks market through Pepsi X and entering an alliance with Lipton to tap into the emerging flavoured tea trend. PepsiCo International clearly sees the potential to be had in the beverages sector in the Middle East, also embarking on something of a re-brand in the Gulf a year ago, launching Pepsi Max in the Lebanese market in summer 2007 and more recently, signing a partnership agreement with the Hilton and Conrad hotels in Egypt, Jordan and Lebanon in September 2008. The deal will see the PepsiCo International brand enhanced and promoted through hotels and restaurants in those countries. So what does this mean for the gases business in the Middle East? Gases are used throughout the beverage production and presentation process, with carbonation and pressurisation at production site, or alternatively with drinks carbonated at the pump in the venue of consumption. Gases such as carbon dioxide and nitrogen are required, at both high volumes and stringently high levels of purity or ‘beverage grade’. Carbon dioxide at beverage grade is required for the optimal carbonation of soft drinks, bottled water, or beer and improves product quality. Nitrogen meanwhile is also required at beverage grade for the pressurisation of PET bottles and aluminium cans for either non-carbonated or slightly carbonated beverages. These requirements are usually catered for in bulk supply, or through on-site generation as a cost-effective option. 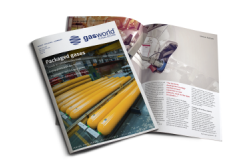 However, as noted in last year’s gasworld Middle East analysis, the trend for bulk liquid CO2 supply is once again increasing as the liquid is trucked in following the closure of many combustion plants in the UAE. 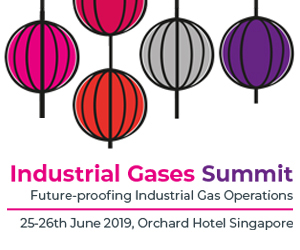 Environmental concerns, combined with the surge in fuel costs, are giving rise to alternative methods of CO2 resource from the gas companies – presenting an opportunity for recovered gases as by-products of other chemical or metallurgical processes. And so to the business type in the Middle East. If the demand for on-sites is dwindling, what are the trends? The spread of combustion plants that had been installed across the region created a challenge for the merchant market, which suffered as a result. This gradual closure of such plants of late however, has revived bulk supply of liquids trucked-in to the UAE. This may have revived bulk business in the Middle East merchant market, but this is still a business sector dominated by packaged gases. Thought to comprise around 65% of gases in the region, packaged gases dominate the Middle East market. 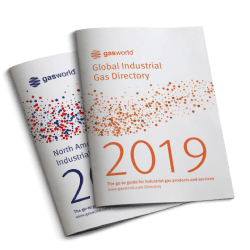 This business also dominates the industrial gas industry as a whole, grossing global revenues of around $24bn in 2007, compared with global on-site revenues of only $15bn approx. 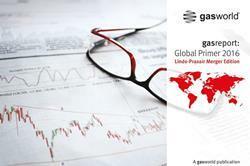 A CAGR of 6.3% for the period 2006-2011 is estimated for packaged gases globally. The Middle East gases business has just broken the billion dollar revenues barrier, with a value of $1.1bn in 2007 and further growth expected by the close of 2008 when data is collated. Of this business, packaged gases reign supreme and account for an estimated $567m of revenues. On-sites business remains respectable in the region with revenues of $315m compared to bulk gas revenues of only $221m, though in the UAE alone this is very different. The aforementioned trend for bulk trucked-in gases in the UAE would appear to be supported by the fiscal figures, as on-sites account for a mere $4m of revenue in the Emirates whereas bulk business is estimated to have a value of $22m. Putting both of these segments in the shade however, is the packaged gas business in the UAE, worth around $60m. 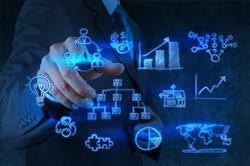 In terms of different industries and applications, future growth is there to be explored. We’ve looked at the way in which the soft drinks majors view the beverages market, but evidence of the growth potential is evident in the burgeoning oil sector, as highlighted in our previous Middle East analysis. The high oil prices of the past two to three years and especially the past six months, have significantly swelled the pockets of those involved in the oil industry in the Middle East – as well as provoking project activity. As an example of the effect of oil prices on those in the region, we need look no further than English Premier League football club Manchester City (Man City). At the end of August 2008 it was revealed that Man City would fall under the new ownership of the Abu Dhabi United Group (ADUG), amid a glorified wave of wealth and speculation and as another example of allowing money to do the talking in football. Dr Sulaiman Al-Fahim is the public face of the ADUG consortium, yet Sheikh Mansour Bin Zayed Al Nahyan of the Abu Dhabi royal family is thought to be the key power behind the group. The Abu Dhabi royal family’s wealth comes from oil (discovered in the emirate in 1958) and as an illustration of the Middle East profit potential from the oil industry, it’s estimated that Sheikh Mansour’s family wealth has been hugely increasing with each day of the oil price surge. Estimates suggest that for every time the price of a barrel of oil rises by $1, Abu Dhabi gains as much as $500m per day. Financial gain is obvious then, but additionally, the rising oil prices have led to prospering project activity in the region – boosting demand for industrial gases. This could range from petrochemical, chemical and refining operations, as the supply of both oxygen and nitrogen through on-site schemes is integral. It’s perhaps for this very reason that a plethora of industrial gas companies appear to have been queuing up to invest in the region. 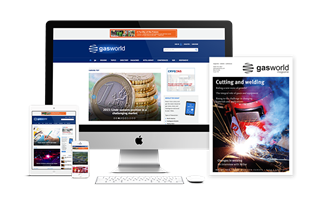 This was apparent by the strong interest shown at the inaugural gasworld Middle East Conference last December (2007), while six months later at the African Conference 2008 and the message of optimism concerning inflated oil prices was again underlined. Aside from the dynamic oil industry, growth opportunities are also found in the steel industry, upcoming refinery activity in Kuwait, specialty gases, LNG, and hydrogen. Oxygen demand, as well as that of other industrial gases, is set to prosper over the next three years as the UAE steel industry explodes with over 200% growth. Steel consumption in the UAE is highly influenced by the boom in construction and infrastructure development, with production reaching 1.7 million tonnes in 2006. 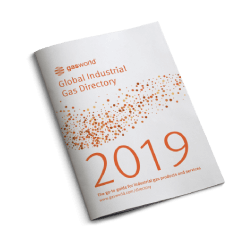 As one of the most promising steel markets in the GCC region, a UAE Steel Industry Analysis estimates growth of around 235% in the region from 2008-2012, representing considerable industrial gas demand in the process. Considerable demand for on-site supply of nitrogen and oxygen could also be seen from the forthcoming refinery project in Kuwait. The Al Zour refinery project, the Middle East’s biggest such project expected to produce 615,000 barrels-per-day (bpd), is thought to be making healthy strides forward at the moment following the agreement of several key construction contracts this year. The marketing of specialty gases to the oil/petrochemical, environmental, energy, laboratory and other market sectors has been strengthened by the exclusive specialty gas alliance between Matheson Tri-Gas Inc. and Global Gases & Chemicals Dubai. The alliance will see the two companies cooperate to market specialty gases, while Global Gases is also to construct a state-of-the-art specialty gas production facility in Dubai. It also builds on the strong relationship between the two companies. As a major source of LNG export, Qatar is now also forging ahead with plans to produce the commodity gas for export to the UK. Overall the outlook again looks promising, as an array of applications significantly boost industrial gas demand. The region has previously accounted for only a 2% share of the global gases market and in 2007 was worth an estimated $1.1bn. Revenues in 2008 are anticipated to surpass the billion dollar barrier even further, prompting the region’s industrial gas demand to obtain a larger slice of the global market and head towards revenues of over $1.2bn. A compounded annual growth rate (CAGR) prediction of 9.6% for the period 2006-2011 (Spiritus) would appear to affirm such promise. This belief is also shored-up by the sentiments of arguably the gases industry’s largest two players, Air Liquide and Linde. Air Liquide this summer revealed its business development in the Middle East is accelerating, with investments spanning Kuwait, Qatar, Egypt, and Oman all progressing as hoped. The company has close to $200m of investments in the region, all of which are coming to fruition and reinforcing the positive vibe. 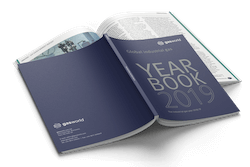 Air Liquide expects merchant sales to increase in line with recent activity, an area which The Linde Group is also keen to pursue, as revealed in the company’s May Interview of the Month with gasworld. Linde maintains both its interest and optimism for the Middle East, boasting a huge achievement through the operation of its long-standing cooperation with the Borealis/Abu Dhabi National Oil Company (Adnoc). The Adnoc joint venture provides Linde with a significant foothold in the region and a strong understanding of its prosperous future. In the interview Linde revealed its joint venture would enable the marketing of part of its production as merchant gases throughout the Middle East, from Saudi Arabia to Oman. The group also expects to see double-digit profits from the air separation plants set to go on stream next year as part of the joint venture. As with many regions across the globe, the Middle East is largely Manufacturing-led and this sector occupies a 37.9% share of the gases business in this part of the world. Although probably one of the first thoughts conjured when discussing the Middle East gases market, the UAE is actually not the largest of gas businesses. When looking at the market breakdown, the UAE is only the fifth largest business in the region and accounts for a 7.9% share of revenues. Saudi Arabia holds the leading position with a market share of 31.3% and revenues of $360m in 2007, followed by Turkey at 15.9% ($183m), Iran at 12.7% ($146m), Israel with 10% ($115m), and then the Emirates at $91m. Kuwait rounds-up the top six countries with a 5.8% share of the market and revenues of $67m, while Qatar heads the rest at 3.6% and a gas businesses valued at $42m.